From 1st January 2019 The Museum of The Royal Regiment of Scotland will take over the ownership of the 51st Highland Division and Ross Bequest Trust website. The Royal Regiment of Scotland is fiercely proud of a history which extends back to 1633 and it continues to maintain important golden-thread links with its antecedent regiments, many of whom served in the 51st Highland Division. The Regiment very much sees itself as one of the key custodians of the martial history of the military in Scotland and taking on the stewardship of this website through its/our museum is another step in securing the Nation's military heritage for future generations. In other respects the website will remain largely unchanged with the webmaster and Divisional Historian continuing as before. New content has been added to our WWI section. Items include a sketch of the Battle Patches as worn by units of the 51st, found within the war diary of 1/5th Gordon Highlanders in the National Archives; extracts from a number of sources summarising the last month of the war for the 51st; and finally the Armistice signal received on the 11th Nov. instructing the cease fire that would end the war. On Wednesday 15 August 2018, Brigadier Alastair Dorward, the Chairman of the 51st Highland Division Trust, made a short address to members of Clan Donnachaidh at Bruar near Pitlochry before the statue of the piper of the 51st Highland Division was handed over to the clan for safe keeping. 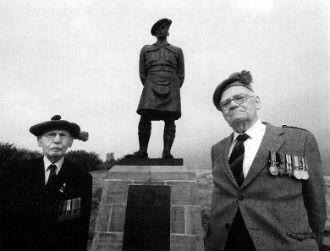 The statue was received by Gilbert Robertson of Struan, the 23rd Chief of Clan Donnachaidh. Additional photographs have been added of the Beaumont Hamel memorial page including photos showing: Pipers from the 93rd Highlanders at the unveiling ceremony and dedication of the Beaumont Hamel memorial in 1924; the Guard of Honour marching to Victoria Station, London, en route for France; and Marshal Foch inspecting the Guard of Honour after the unveiling ceremony. The intention is to add brief accounts of the other 1918 actions. For those who wish to know more I strongly recommend "The History of the Fifty First (Highland) Division" by Major F W Bewsher D.S.O. , M.C. This was first published in 1920 but is still available from The Naval & Military Press. An extract from 'History of the Great War – Order of battle of Divisions Part 2a' detailing the Mobilization, Battles & Engagements from 1914 to 1919. During the afternoon of 20th March a scout of the Black Watch, lying out in No Man's Land, observed between 6000 and 7000 men, not wearing their packs, enter the enemy's trenches. It was therefore evident that the enemy was assembling for the attack. I am delighted to add to the accounts of the Division's withdrawal to St. Valéry, The War Diary of Captain R.A.A.S. Macrae, Adjutant to 4th Battalion Seaforth Highlanders, covering the period of 27th May to 12 June 1940. I am indebted to his son Malcolm who has passed the diary, complied by his brother Christopher, to me with permission to put it on the website. It is a lengthy document and I have not at the time put on the website the Annexes mentioned in the introduction. The diary is a fascinating read and makes another great contribution to understanding those last days of the Division in 1940. The War Diary of Captain R.A.A.S. Macrae, Adjutant to 4th Battalion Seaforth Highlanders, covering the period of 27th May to 10th June 1940. Captain Macrae's diary continues to detail the 11/12th June 1940. It describes the events experienced by the Bn. leading up to their eventual capture at St. Valéry-en-Caux, together with the rest of the 51st Highland Division. 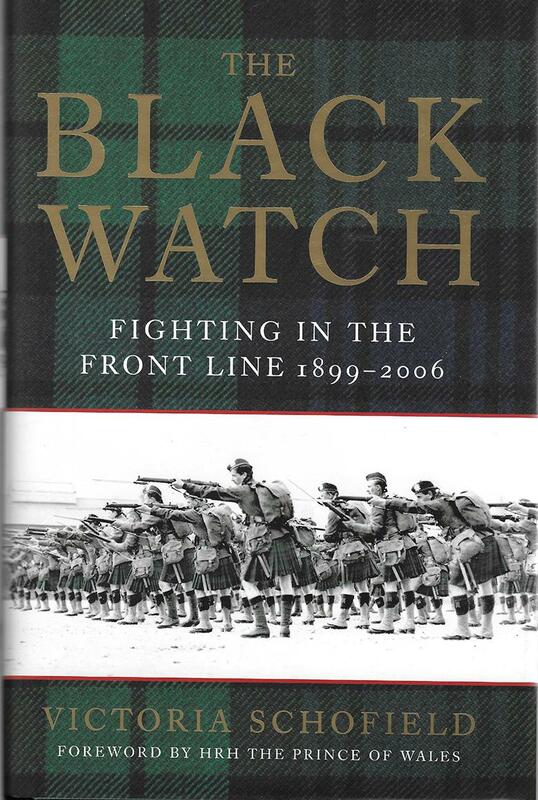 "The Black Watch – Fighting in The Front Line 1899-2006" by Victoria Schofield is the second part of The Black Watch regiment history (The first volume was The Highland Furies). As the title of this second volume suggests it covers both the First and Second World Wars, and consequently those battalions of the Regiment that were in the 51st Highland Division. Victoria Schofield does not just tell the history but uses personal accounts from diaries and letters of those serving. At over 800 pages it is nevertheless extremely readable and provides some wonderful insights into the soldiers of the Division in the two wars. "The Black Watch – Fighting in The Front Line 1899-2006"
Over the last year an independent film producer, Craig McAlpine, has been researching the withdrawal of the 51st Highland Division from the Maginot line to Abbeville and ultimately St. Valéry. Criag's grandfather and great uncle were both Argyll's who were captured. Craig interviewed a number of veterans, two of which have sadly since passed away. He also visited the ground from the Maginot line back to St. Valéry and returned to the latter with one of the veterans. I attended a preview of the resulting film (called DUNKIRK – THE FORGOTTEN HEROES) on Monday 25th June along with a couple of the veterans, families and former soldiers. The film is EXCELLENT. The veterans are the stars and I cannot fault it. Craig has told the story really well and done the Division Proud. The documentary was screened on Channel 4 on the 15 July 2018 and should remain available via catch-up (through the Channel 4 website or TV apps) until the 14th August. The Regimental Museum of the Highlanders and Queen's Own Highlanders Collection have very generously provided a scan of the diary compiled by Major Grant, 2nd Seaforth Highlanders, while a prisoner of war. Major James Murray Grant's account, endorsed by a number of those officers present as the Battalion War Diary, covers the withdrawal and final action of the Battalion at LE TOT and ST.SYLVAN to the west of St. Valéry. The Scans of the pages of this diary, including his excellent maps, covering the period 9 to 12 June have been provided on the website along with a transcript. This graphic account is a real treasure and I wish to thank the Museum for making it available. Transcript of Major Grant's diary covering the period from the 9th to 12th June 1940. Includes excellent sketch maps and an account of the action around Le Tot and St. Sylvan. The fly sheet describes the book as follows: During the German May 1940 offensive, the 51st Highland Division, including the 1st and 5th Battalions Gordon Highlanders, became separated from the British Expeditionary Force. After a heroic stand at St Valéry-en-Caux the Division surrendered when fog thwarted efforts to evacuate them. This superbly researched hook contains many inspiring stories that deserve and merit reading. A new statue has been erected in the garden of the Black Watch Museum to commemorate the 51st Highland Division. There are plans for an official unveiling on the morning of Wednesday 21 June - please contact the Black Watch Museum for further details. This statue was unveiled in June 2017 to commemorate the thousands of men, both Regular Army and Territorials, who joined the 51st Highland Division from 1908 to 1967. The Third Ypres, also know as Passchendaele, was fought between 31 July – 10 November 1917. The 51st Highland Division was involved in two of the battles in the earlier stages. These were Battle of Pilkem (Passchendaele) which was the opening battle (31 July) and Poelcappelle (20 September) both involving the 51st Highland Division, have not been added to the website. With the centenary commemorations of both these battles anticipated this year  it is time to put this right. The accounts have been largely drawn from 'The History of the 51st Highland Division 1914-1918' by Major F W Bewsher D.S.O., M.C. and précised. Some additional accounts have also been included from regimental histories. It is hoped to add more during the year. Accounts and extracts on The Third Ypres, also know as Passchendaele, fought between 31 July to 10 November 1917. A precis of the Attack at Poelcappelle, 20th September 1917, from Bewsher's 'The History of the 51st Highland Division'. 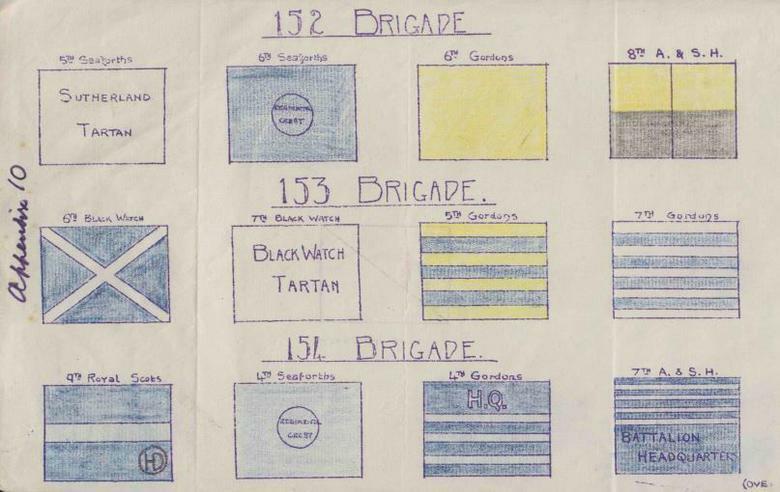 We have collated the set of tactical numbers and colours used by the various units within the 51st Highland Division during WW2. These markings were painted onto vehicles, signs and flags to distinguish the units and formations in the field. This information should hopefully prove useful to those attempting to identify Battalions found in photographs left by relatives. We have been extremely fortunate to be given a transcript of the War Diary of Capt. J.P.P. Taylor who was the Intelligence Officer of the 1st Battalion, Gordon Highlands. The Journal covers the withdrawal of the 51st Highland Divison to St. Valéry in 1940. The following notes are based on what I saw and remembered and do not contain detailed accounts of actions by Companies, Platoons or Sections. I am hugely indebted to Captain Taylor's son Mr M P Taylor who has made this available. Reading through the transcript made reference to a number of maps. Following this up Mr M P Taylor let me borrow the original manuscript which enabled me to scan the maps. These were in the exercise book in which the account was written. I have subsequently followed the Division from the Somme with a battlefield tour and the maps and account provide a wonderful insight to the actions. Mr Taylor was keen that the whole account should be included. I have done this but to make it easier to relate to events I have broken it into sections so, that for example, the section dealing with the attack on the Grand Bois is in that section. At the bottom of each extract you can also find a link to the next section of Capt. Taylor's War Diary. I am delighted with this find which makes a great contribution to the website. The extracts from Capt. Taylor's War Diary beginning with the mobilisation of the Bn in September / October 1939. While the website does not normally publish obituaries we feel that it is important to mark the passing of Dr Tom Renouf. MBE MM. Tom was born in 1925 and, like his father before him, joined the army to see action in France against the Germans. He joined the Black Watch as a private and was awarded the Military Medal in 1945 for his actions during the Rhine crossing when the Black Watch led the British Army into the heart of Germany. He was subsequently promoted to Lieutenant. On his return to Scotland he graduated in Physics from the University of Edinburgh and went on to become a lecturer at the Royal Military College. He subsequently returned to the University of Edinburgh where he became a research fellow and completed his Ph.D.
Tom was the right hand man of General Derek Lang, Chairmen of the 51st Highland Division Veterans Association and organized reunions and pilgrimages for the veterans of the 51st Highland Division. 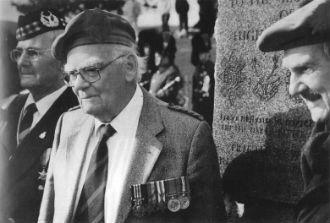 When General Derek passed away Tom took up the mantle of running the Veterans Association, continuing to run pilgrimages and promote monuments to the Division in Scotland, France, Belgium and Holland. Tom was awarded the MBE in the Queen’s Birthday Honour’s List just a few weeks before he died. Tom told his own story in “Black Watch” published by Little Brown in 2011. Accounts of many pilgrimages may be found in the new revised version of “The History of the 51st Highland Division” by JB Salmon published by Librario Publishing Ltd in 2014. In this edition Tom has added the story of the post war Division and accounts of the pilgrims and reunions up to 2013. Tom will be missed by all who knew him. His pride in the 51st Highland Division will continue to be remembered in the memorials to the Division which he played such a large part in creating. We are extremely pleased to say our new map tool is now available on the site. It is hoped the interactive map will provide users with an intuitive navigational path through the history, personal accounts and photographs of the 51st Highland Division whilst reinforcing the link between our history and its geographical context within the world around us. Simply head to the map tool and click on a marker to view its title and description, below which you'll find a link to 'view related content' associated with that key event or location. Mr A.Trigg has sent details and a number of photographs of his father, Gunner Robert (Bob) Alfred Trigg - 1137967 - who was in the 61st Anti-Tank Regiment in the 51st Highland Division. Bob Trigg served from 1942 to 1947. After completing his basic training at Catterick he sailed to North Africa on the Queen Mary as a reinforcement after Alamein. From there he served in North Africa, Sicily, and North-West Europe. A couple of Naval accounts of the action off St. Valéry have come to our attention which make interesting reading. The same document also gives the orders given to ARK FORCE and they have also been added to the site. The 7 Scots Battlefield Study [June 2015] spent a day studying the attacks at Abbeville on 4 June . We are indebted to Saul David, author of "Churchill's Sacrifice of the Highland Division" for giving us permission to quote verbatim from his book. For those wishing to follow the movements and actions of the Division there is no better handbook to guide the visitor through the various actions of the Division on the withdrawal to St.Valéry than "Churchill's Sacrifice of the Highland Division – France 1940", by Saul David and published by Brassey's in 1994. We are therefore able to add two new extracts to The B.E.F. section detailing the attack by 4th Camerons from Huchenneville and the attack by 1 Gordons on the Grand Bois; both extracts are accompanied by photographs of the battlefield from the 7 Scots' study. An interesting account of the withdrawal to St.Valéry by Lieutenant Colonel Honeyman commanding 1st Battalion The Black Watch from the Black Watch Museum archives has been added to the site. 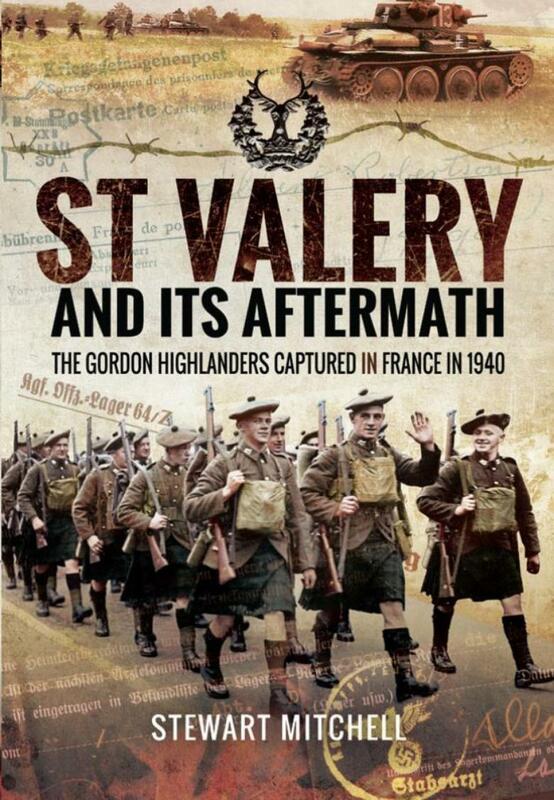 Lieutenant Colonel Honeyman's personal account of the withdrawal of 1st Battalion Black Watch from St. Valery. The account spans 24th May to 13th June 1940. 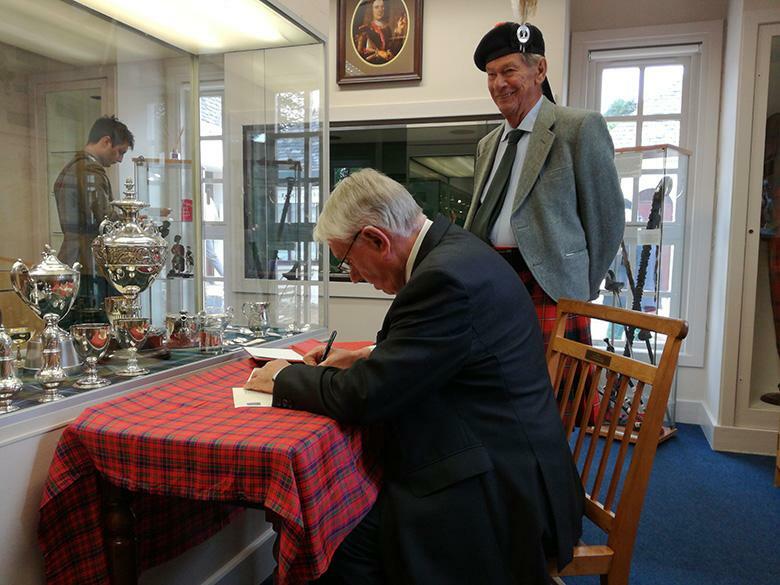 In the archives of The Black Watch Museum Brig. Charle Grant came upon an original copy of the original Operations Order for the attack at Beaumont Hamel by 1/6th Battalion the Black Watch. This fascinating document, providing a real insight into the way an attack was conducted, has been included in the Beaumont Hamel accounts. Original Operations Order for the attack by 1/6th Battalion, The Black Watch, at Beaumont Hamel 13th Nov 1916. Includes Op. Order, additional instruction and RA fire plan. In June 2015 Brig. Charles Grant was fortunate to be asked to assist 51 Highland, 7th Battalion The Royal Regiment of Scotland, in conducting a battlefield study of the withdrawal of the 51st Highland Division on the Somme in 1940 back to St. Valéry. 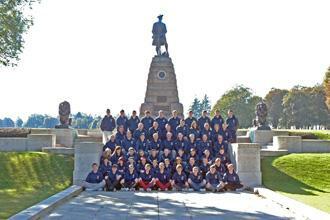 The tour consisted of five days of battlefield study and two days of commemorative events. The party of 20 plus was hosted by the town of Veues-les-Roses, just to the east of St. Valéry. The impute to this website will concentrate on the battlefield study part but no mention of the visit can be made without commenting on the wonderful hospitality of the people of the people of Vueles-les-Roses and the other places that hosted commemoration events. The latter part of the exercise was marked by moving commemoration events, parades and functions that reflect the warmth and thanks of all who we met. A highlight was the dedicating of the path up the cliff from of Vueles-les-Roses to Captain Derek Lang. The path was opened by Sarah Hunt, daughter of Sir Derek. I will just briefly recap the battlefield study program here but there will be more detail in the relevant section of the website. I will be adding to the website with photographs of some of the battlefields and further accounts during the year. A new chapter has been added to the 51st Highland Division's World War One History section detailing the Division's advance during the Battle of Cambrai (Nov 1917) in addition to an account of the advance by the Gordon Highlanders during that same battle. Description of the 51st Highland Division's action at the battle of Cambrai, from "The Spirit of the Troops is Excellent" by Derek Bird, 6th (Morayshire) Battalion, Seaforth Highlanders. Newly added to the Sicily Campaign - the personal account by Dell Porchetta of 'A' Company, 7th Argyll and Sutherland Highlanders, of their attack on Gerbini and his capture on the night of 20th July 1943. Personal account of Dell Porchetta, detailing the attack on Gerbini and his eventual capture with 'A' company, 7th Argyll and Sutherland Highlanders, on the night of 20th July 1943. An account of the opening Artillery fire by 128th Field Reg. has been added to the El Alamein section. The account is taken, with kind permission, from "THE QUIET GUNNER AT WAR" (El Alamein to the Rhine with the Scottish Divisions) by Richmond Gorle MC RA. Published by Pen and Sword Books in 2011. Extract from "The Quite Gunner At War" describing 128th Field Reg. 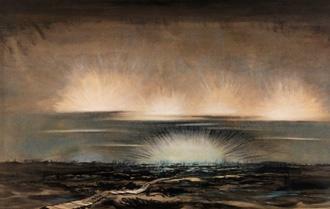 RA's opening barrage at El Alamein, Oct 1942. An extract has been added to the St. Valery section of the Divisional History, with kind permission of the Andrew Bradford, describing the movements of the Black Watch during the retreat on the 11th/12th June 1940. The extract is taken from "Escape from Saint Valery-en-Caux - Recounting the Adventures of Captain B C Bradford". Extract describing movements of Black Watch on 11/12 June 1940 from Capt. Bradford's "Escape from Saint Valery-en-Caux"
Two new extracts have been added to the site from Driver MacAskill's Memoirs. The first details his lucky escape from France with "Arc Force" during the B.E.F. on 13th June 1940; the second describes his logistical support in the Battle of El Alamein, North Africa, Oct 1942. An extract from "The Fifty First in France" by Capt. Robert R Ross, Gordon Highlanders, first published in 1918, has been added to the Battle of the Somme section. Capt. Ross's account details the 2nd Attack on High Wood on the 30th July 1916. Captain Robert R. Ross's Description of the 2nd attack on High wood, 30th July 1916. Newly added to The B.E.F. section of the Divisional History, with kind permission of the author, we are able to bring you an extract describing the battle for Abbeville and the German counter attack, taken from "A LONDONER IN THE 51st HIGHLAND DIVISION – JACK DRINKALL’S STORY" by Mike Drinkall. Extract describing the battle for Abbeville, taken from "A LONDONER IN THE 51st HIGHLAND DIVISION – JACK DRINKALL'S STORY" by Mike Drinkall. Two new brief history pages have been added to the Battalions section, summarising the history of the 8th and 9th Battalion Royal Scots (The Royal Regiment). 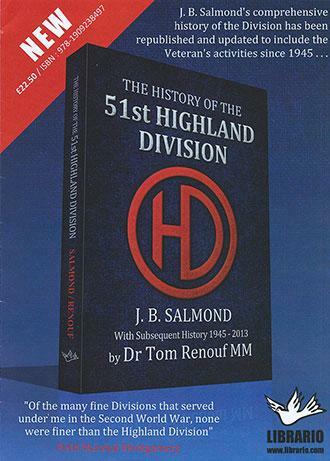 J.B.Salmond's classic History of the 51st Highland Division has been reprinted by librario.com with additional material on the post war activities and reunions of the veterans written by Dr. Tom Renouf. 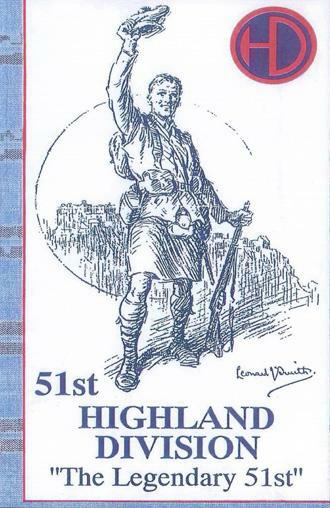 Once publication costs have been recovered the proceeds will go to the 51st Highland Division Trust. After publishing the photos kindly sent to us by the Van Wulfften Palthe Brothers, Georges Laloux, who originally sent us the information about "Castle Embourg" (his family home in Dec '44), got in touch to say his younger sister had found a photo of some of the men who had stayed at the Chateau. That photo, now added to the Castle Embourg page, matches the scene of one of B.R. Van Wulfften Palthe's photos below, taken near Mook in March '45. Many thanks to Georges and his sister for helping to add to the story. We have very kindly been sent a great set of photos from Bert & Ric van Wulfften Palthe, many of which we have been able to incorporate into various locations across the site. Bert & Ric got in touch after stumbling upon an earlier addition to our website from Georges Laloux who, in 2009, had sent us a handwritten list of the men who had stayed in "Castle Embourg" (his then home nr. Liege) which 152 HQ commandeered during Dec '44. To their surprise they discovered their Father's name, B.R. van Wulfften Palthe, noted on the list. Palthe had been attached to 152nd Infantry Brigade as a Dutch Interpreter (Corps. Tolken) between Nov '44 (shortly after the liberation of Eindhoven, his home town) and Apr '45 (when he was badly injured by shrapnel during the push for Bremen). You can find more info and Palthe's photos at the following pages : Castle Embourg, Mook (at rest) and Palthe's Rhine Crossing. Many thanks to Bert & Ric for contacting [email protected] and for allowing us to share in such a fascinating story and set of photos. Story of Chateau Piedbeouf, known locally as "Castle Embourg" nr. Liege, commandeered as 152 Brig. HQ in Dec 1944, and its link to a Dutch Interpreter 70 years later through a handwritten list names of those who stayed there. 152 Brig. at rest near Mook prior to Operation Plunder and the crossing of the Rhine in March 1945. A fascinating sequence of photos taken by B.R. van Wulfften Palthe as he crossed the Rhine in a "Buffalo" on the 24/25 of March 1945. Official ceremony unveils statue of a Black Watch Soldier at "Black Watch Corner", Ypres, Belgium, marking the centenary of the outbreak of WWI. Our memorial page includes details of the First Battle of Ypres and the defence of Polygon Wood by 1st Black Watch, 1st Scots Guards and 1st Queen's Own Cameron Highlanders. The South West corner of the Wood subsequently became known as "Black Watch Corner". Newly added extract from Derek Bird's "The Spirit of the Troops is Excellent", reproduced with kind permission, has been added to our WWI section. The extract describes an attack by 6th Seaforth Highlanders on trenches near Roclincourt during the Battle of Arras on the 9th/10th April 1917. A new account from the Diary of Pte. MacPherson, 9th Royal Scots, has been added to our World War One history section. The account details the movements of 154th Brigade between 12th - 14th November 1916 as the Brigade acted in reserve for the Attack on Beaumont Hamel during the Battle of Ancre. Glasgow Museums' are holding an exhibition to mark the centenary of WW1 at the People’s Palace on Fred A. Farrell, a War Artist attached to the 51st (Highland) Division during 1918. Farrell was originally a sapper but was discharged due to ill health. 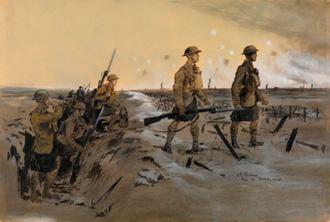 Farrell, a skilled artist, was later commissioned by Glasgow City to document the war. Farrell made two trips to The Front as a war artist. In November 1917 he went to Flanders with the 15th, 16th and 17th Highland Light Infantry. These were volunteer battalions raised by the Corporation of Glasgow and the Glasgow Chamber of Commerce. In late 1918 he spent two months attached to the 51st (Highland) Division in France. 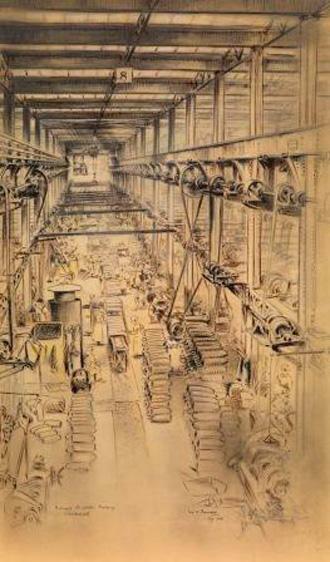 The exhibition is a powerfull collection of Farrell's sketches and watercolours and offers a first hand glimpse of WWI through the eyes of a former soldier. This exhibition is on the top floor of Glasgow's People's Palace and runs from Friday 30 May to Sunday 23 November 2014. The DVD gives an illustrated history of the Division, covering both wars, and concludes with film and commentary of some of the veteran pilgrimages to the battlefields. The DVD is available from the museums of The Black Watch, The Highlanders and The Argyll and Sutherland Highlanders. It costs £10 plus postage and packing and for each copy sold £5 goes to forces charities. Thanks must go to George Bee and Martin Healey who individually sent us photographs of copies of two sketch maps detailing the movements and firing positions of 492 (Highland) Field Battery (128th Field Regiment) between August 1942 and the North Africa campaign and "VE" Day in 1945. Both George and Martin's fathers had served in 492 Field Battery throughout the period. We have been able to transcribe the annotations which detailed the towns or areas moved to and added these details in a table for easy reading. Both maps can be seen in higher resolution that shown on the site but clicking on the links noted. Both maps and details make a fine addition to the history of 128th Field Regiment. 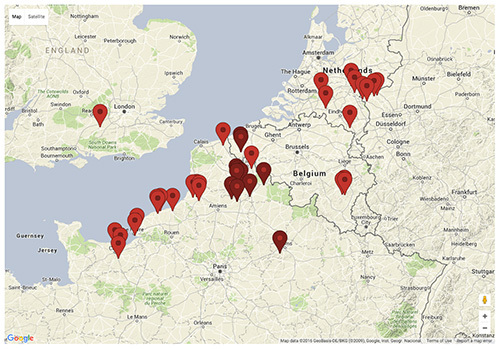 Movements and activity maps of 492 Field Battery from North Africa to "VE" Day. An Extract from Derek Bird's "The Spirit of the Troops is Excellent"
A new account of the attack by 152 Brigade at Beaumont Hamel has been added to the World War One section. This is from a book entitled "The Spirit of the Troops is Excellent – The 6th (Morayshire) Battalion, Seaforth Highlanders, in the Great War 1914-1919". The book by Derek Bird was published by Birdbrain Books in 2008. (ISBN 978-0-9560223-0-1). The section on Beaumont Hamel has been reproduced (less photographs) with the author's kind permission. The book is sadly out of print but if you can get hold of it you will not be disappointed. It is a wonderful history, with many photographs, of this battalion. To accompany Derek Bird's book he has created a Roll of Honour to commemorate the fallen of the 6th (Morayshire) Battalion, Seaforth Highlanders in the Great War. This can be found - here. An account of 152 Brigade's attack on Beaumont Hamel, 13th November 1916. We are extremely priviledged to be able to bring you extracts from a wonderful first-hand account of the 51st Highland Division in the First World War from the Diary of Active Service of 351128 Pte. A F. Macpherson, 9th Royal Scots, 154 Brigade (November 1915 to May 1917). The diary was presented to the 51st Highland Division by A F. Macpherson for retention in their archives and was recently redescovered. Several extracts have been taken from the diary including a description of Private Macpherson’s part in the attack on High Wood on the Somme in July 1916 and his wounding at the Battle of Arras in April 1917. We have been able to include hand-drawn sketch maps by MacPherson and have added supporting photographs from the Imperial War Museum Collection. We have recently been able to gather together photographs and supporting information on the 6 men of the 51st (Highland) Division to be awarded the Victoria Cross during World War One and have brought these accounts together into a new WWI VC section in the Divisional History. You can head to the VC section for a summary or click on each photo below to read about each of the 6 men in turn. We are pleased to be able to announce the addition of a new page in the Memorial section featuring the Monument at Beaumont-Hamel (Somme) to the 51st (Highland) Division. The page includes several photos showing the monument and the Programme from the Unveiling ceremony in September 1924. A new page has been added to the Memorial section featuring Alan Herriot's Monument to the 51st Highland Division at North Inch, Perth. The web site was reviewed at the 51st Highland Division and Ross Bequest Annual Trustees Meeting in April and funding agreed for the forthcoming year. The Trustees were most complementary and agreed a program of further work on the site. The Development of a section on those in the Division who were awarded the Victoria Cross. The expansion of the Memorials section. The development of accounts and descriptions of the 51st Highland Division in the First World War. The inclusion of other photographs, accounts and material as they become available including contributions from the public. Finally I would like to thank all those who have contributed using our email address y[email protected]. As the Anniversary of World War One approaches, and that of the various battles involving the Division, I will be particularly keen to hear from anyone who has photographs or records relating to World War One. The Black Watch Museum, housed in the dramatic and historic Balhousie Castle in Perth, reopened in June after an extensive renovation and extension. The Castle is set in its own beautiful gardens and grounds. A visit to this ancestral home of The Black Watch brings this glorious Regiment's past vibrantly to life. The Museum houses a wonderful collection of uniforms, fine paintings, medals, photographs, diaries, weapons and military equipment, together with film and reminiscences bring to life the proud military heritage of this family regiment. The collection contains significant items that have been gathered by the Regiment throughout its history, right up to the recent conflicts in Iraq and Afghanistan. Of particular significance for this web site is the fine display of 51st Highland Division uniforms and artefacts, some of which are shown in these photographs. 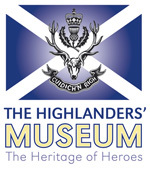 The Highlanders’ Museum reopened 29th March 2013 after an 18 month major refit and re-interpretation of the collection. The collection has been improved to give focus to education and learning for future generations. The story includes the history of Seaforth Highlanders, Queens Own Cameron Highlanders, Queens Own Highlanders, Lovat Scouts, Volunteers & Militias’. The museum is located inside Fort George on the Moray Firth, 12 miles east of Inverness. The Learning Centre has a research facility aimed at assisting those carrying out family historical research. Of particular significance for this web site is the fine display of 51st Highland Division uniforms and artefacts, some of which are shown in the photographs below. Entry to the Museum is free of charge but you must pay an admission fee to Historic Scotland to gain entry to the Fort. Caron Paterson sent us scans of a large set of incredibly interesting photographs that belonged to her Grandfather, Pte. Harry Knox of the Gordon Highlanders, taken during his time as a P.O.W. at Stalag IXC, Bad Sulza, Germany between 1940 and 1945. You can view the photographs on a new page within our POW Accounts section. The set includes a number of photographs of men from Stalag IX-C including several photos depicting an elaborate evening of 'POW Entertainment' in the form of amature dramatics & comedy performances by the men. Pte. Harry Knox actually appears as 'Stan Laurell' in one of the comedy sketches. These photos offer us a unique glimpse of what must have been an evening of fun and laughter that raised spirits in hard times. Many thanks must g to Caron for sending these scans into us at [email protected]. Many thanks to Russel Gatehouse for sending scans of these photos belonging to his Father, John Cuthbert Gatehouse. Prior to his capture at St. Valery in June 1940, John Cuthbert Gatehouse was a Royal Army Service Corp. motorcycle scout / message runner attached to the 51st Highland Division. John was held at a POW camp in Schubin Poland (Stalag XXI B) until eventually being transferred, as the Russians moved west, to Stalag 383 nr. Hohenfals, Germany at some point prior to Summer 1944. The 4 photos Russel sent to us where annotated; 3 reference Schubin and the 4th states "Summer 1944 Stalag 383, JCG cutting hair" which is assumed to show John Cuthbert Gatehouse himself. Major Hugh Robertson's Daughter, Linda McLean, very kindly sent us a few photographs of her Father featuring him taking part in Highland Games organised by the Men at a training camp, presumed to be in England in 1941 - 1942 prior to embarkation to North Africa. Major Hugh Robertson features on several occations within Alastair Borthwick's account of the 5th Seaforth's "Attack on Groin" during Operation Plunder and the Crossing of the Rhine in which Hugh features in his role as O.C. "C" Company. We have added a new personal account to the St. Valery 1940 history section, detailing the retreat and escape of Tom Wardle Garside RASC on the night of the 11th June 1940. Tom's account describes his movements from the 4th June 1940 as his Division began their retreat. Tom becomes seperated from his Division and his account helps give a sense of the confusion felt on the ground during the fall back. Tom eventually makes the beach cliffs beyond St. Valery on the night of the 11th and, after heading along the beach under heavy fire, is lucky enough to find a Brittish Soldier in a Rowing Boat heading out to a Tramp Steamer off-shore. Thanks go to Jim Garside, Tom's Son, for sharing this personal account with us. We were very kindly sent a collection of photographs of George Watt Drummond (4th Black Watch) by his Niece, Beth Marshall. An accompanying descriptive providing details of George's time as a POW in WWII was compiled by Drummond's Great Great Nephew (Shaun Finnigan). Dave Clark, whos Father was in the 5/7th Gordons, kindly sent a set of photographs depicting a parade and ceremony handing over a drum of the 5th Gordons lost in 1940. It is assumed the photographs are c.1945/46 and the city is possibly that of Munich. These photos have been added to a page under the 'pipes and drums' area of the Battalions section. This photograph was kindly sent to us by Janet Cardigan, the Niece of George Edward Stone who was a Royal Engineer with 239th Field Park Coy. This photograph appears to show the unveiling of the memorial on Sferro Hill in November 1943. Several new photographs and scaned documents have been added to the site in recent weeks. Program for the 32nd Reunion Dinner of the 51st Highland Division – 1949. This program, donated by Mr E Kingston, has a splendid carton on the reverse. Field Marshal Viscount Montgomery of Alamein and Field Marshal The Earl Wavell were among those present. Two new photographs have been added to the WWI section. The 9th Battalion Royal Scots joined the 51st Highland Division in 1916 and the first photograph shows two men of the 1/9th Royal Scots (c.1916). The second photograph shows men of the 1st or 2nd Highland Brigade. R.F.A., 51st Highland Division. C.1918/19. Both photographs are from the collection of Bob Marrion. Two books were published last year which will be of interest to those who use this site. By Tom Renouf, published by Little Brown. Tom Renouf will be known to many as the Secretary of the 51st Highland Division Veterans Association. After the war, working closely with General Sir Derek Lang, Tom has been responsible for a number of veteran pilgrimages and fund raising for memorials to remember the 51st Highland Division. Tom’s personal reminiscences both before joining up and from D-Day through to the end of the War make a fascinating and enjoyable read. Edited by John Donovan and published by Pen and Sword. Horatius Murray was commissioned into the Cameronians (Scottish Rifles) in 1932. 'Nap’, as he was known transferred to the Cameron Highlanders in 1935. He went to Staff College before training with the German Army in 1937. 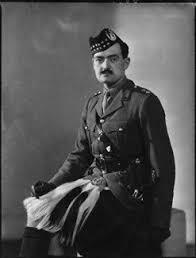 He was a staff officer in the 3rd Division under Montgomery in 1940 before Being sent to North Africa with the 51st Highland Division where he commanded the 1st Gordon Highlanders. Despite being badly wounded at El Alamien, his career flourished and he returned to the 51st Highland Division in which he commanded the 153rd brigade in Tunisia, Sicily and Normandy. He left the Division to go as GOC 6th Armoured Division in Italy. 'Nap’ commanded no less than four divisions culminating with that of the Commonwealth Division during the closing stages of the Korean War. After becoming GOC Scottish Command he was promoted to Commander in Chief Allied Forces Europe. The whole book is fascinating but the insights into the Division and in particular the frank assessment of the Division in the early weeks in Normandy will be of particular interest. This excellent memoir, edited by `Nap’s` nephew, will fascinate any military historian interested in this period but it is a must for those interested in the 51st Highland Division. We are very pleased to be able to announce that a new area has now been added to the 51st Highland Division's History section containing information relating to 51HD during World War One. The WWI section now includes a general overview with chapters on Battle of the Somme at High Wood, Battle of Ancre (Beaumont Hamel) and the Battle of Arras. There are lots of supporting photographs in those sections too. Description of the battle of Ancre, November 1916, which for the 51st Highland Division will be remembered as the Battle of Beaumont Hamel. We hope to be able to add to the WWI section of the site with more history pages, photos, extracts and personal accounts in the not too distant future. We have been kindly sent a copy of an account from the 8th Argyll & Sutherland Highlanders Regimental History detailing the action leading up to the capture of 'C' Coy. between 5th - 7th June, 1940. The account is from Capt. J.D. Inglis and has been sent to us by his Grandson, Capt. T. Inglis. This account compliments the description of the 7th Argyll & Sutherland Highlanders at Franleu during that time. Captain J.D. Inglis' account of the action in which 'C' Coy. (8th Argyll & Sutherland Highlanders ) were captured. The account runs from the 5th - 7th June 1940 and was written for the Regimental Archive. We were kindly sent a copy of this account by Capt. T. Inglis, the Grandson of Capt. J.D. Inglis. Description from 'The History of the 7th Argylls - From El Alamein to Germany' by Ian C Cameron, details the 7th Argylls at Franleu from 5th - 7th June 1940. Two new accounts / extracts have been added (with kind permission) to The B.E.F. (1940) History section. The first details The Battle of Abbeville which is a description taken from 'The Highland Division' by Eric Linklater. The other extract relates to 7th Argyll & Sutherland Highlanders at Franleu, a description detailing action during 5th - 7th June 1940 taken from 'The History of the 7th Argylls - From El Alamein to Germany' by Ian C Cameron of the 7th Argylls & Sutherland Highlanders. Photographs of the stained glass memorial windows to the 51(H) Reconnaissance Regiment that can be found in Nairn Old Parish Church have been added to the Memorial section. There is also a photograph of the Leslie A Meek Memorial Window. Thanks go to Lieutenant Colonel (Ret’d) R J Towns MBE for the photographs. The BBC Landward programme is planning to run a piece on the 51st Highland Division in this weeks show. The show includes a contribution from our website historian, Brig. Charles Grant, and looks at the story of the 51st Highland Division and the contribution its soldiers made in the two World Wars. The programme will go out on BBC Two (in Scotland only - although anyone can watch it for a week after it's aired via the BBC iplayer) on Friday, 11th November at 8pm. To find out more, visit the BBC Landward website. In October 2011 Brig. C Grant accompanied Colonel Dave Chapman MBE, Commandant of 2nb Bn Highlanders Army Cadet Force, and a party of just over 50 cadets and adult instructors to France for a battlefield study. Organised by Col Chapman who had, in the previous year, helped organise a similar tour for Aberdeen University Officer Training Corps, the aim was “to study the actions of the 51st Highland Division between 04 and 13 June 1940 in order to identify the enduring lessons from defense and withdrawal operations again a better understanding of the realities of war.” The tour included following the withdrawal of the Division and the actions at the River Somme, the River Bresle and finally around St.Valéry en Caux. The exercise was extremely enjoyable and provided a wide range of lessons. For many, it improved an understanding of what their parents and grandparents had experienced. The time at St.Valéry en Caux concluded with a commemorative service in the Commonwealth War Graves Commission Cemetery at St.Valéry where wreaths were laid on behalf of the Royal Regiment of Scotland and the 2nd Battalion the Highlanders ACF. On the return journey they took the opportunity to visit part of the World War One Somme battlefield including a visit of the 51st Highland Division monument at Beaumont Hamel. The exercise was extremely successful, the administration was first-class and most importantly everyone left knowing their links to the 51st Highland Division and with a real understanding of the individual and collective sacrifices made by those who served in the Division. We're please to say that we have been gaining a great selection of photographs and journal extracts from members of the public and we hope to publish some of that content in early 2012. We should also have a brand new chapter from our site historian, Brig. Charles Grant, to add to the History section which will detail the 51st Highland Division in the First World War. Every photograph on the site now has supporting information included on the page (which you can view by clicking on the 'i' icon below each photo). We have also recoded the site to allow visitors to 'launch' larger versions of each photograph by clicking the image or by clicking on the icon of the magnifying glass below the photo. If a high resolution image is available we'll include a link to it within the 'supporting information'. We've also tried to more clearly highlight sections of the history that have more information for you to click through to by display '[Chapter]' or '[Account]' indicators next to links into other sections of the site. Finally, we've made it easier for those of you who are interested in reading through the history of the 51st Highland Division in a chronological thread by including dates in page titles and menu links and by adding 'previous' and 'next' links at the bottom of the page which also list their corresponding page titles. Re-indexing everything in the site is taking some time. If a tag you view appears a little sparse, please bare with us - we hope to have all content correctly 'tagged' within the next few days so do check back next week. We hope you like the new site and enjoy finding out more about the history of the 51st Highland Division. BBC Radio Scotland will be broadcasting a documentary programme titled 'The Forgotten 51st' as part of their Remembrance Day schedule. The programme will be broadcast on Thursday 11th November @ 15:30 and will be repeated on Sunday 14th November @ 00:00. The programme will be available on the BBC iPlayer for an additional week. Thank you to Sandy Reid for sending in 4 great photos of the 4/5th Seaforth Highlanders TA pipes & drums taken during the inter-war years - these have now been added to the Pipes & Drums section. Andrzej Gilewski has kindly sent us two photographs of the memorial which now stands on the site of Stalag XXb Marienburg (now Malbork). This POW camp happens to be one of those in which Henry Owens was held in 1942 and is described in his personal account published in our POW Experience section. Thanks to James Gillies for sending us this photograph of the 51st Highland Division, R.A.S.C., Officers' Training Company taken in December 1939. The photo has been added to the Mobilisation section as it was possibly taken whilst the Division was at Aldershot, prior the eventual embarkation to Le Havre from Southampton in January 1940. Mr H. Jemmeson has kindly sent in two photos of his Father, Edward Jemmeson. One photo is of 152 Brigade in Sicily before embarkation to the UK and the other is thought to be of the with 152 Light Aid Detachment. Mr P. Hooton sent us a photo of the Memorial Stone at Sferro, taken in August 2010. Mt. Etna can be seen in the background. A description of the reformed 51st Highland Division in 1940 after St. Valery now includes a photograph of the 9th and 51st shoulder flashes and the Orders of Battle. Major Davidson DSO recalls the fight for Point 198 at the centre of the Roumana Ridge at Wadi Akarit, taken (with kind permission) from "Operation Scipio - The 8th Army at the Battle of Wadi Akarit" by B.S. Barnes. PTE Angus Cummings, a Medic with 175 Field Ambulance 153 Brigade, tells of his difficult job as a stretcher-bearer under fire at the foot of the Roumana ridge at Wadi Akarit, taken (with kind permission) from "Operation Scipio - The 8th Army at the Battle of Wadi Akarit" by B.S. Barnes. Major Andrews (later Brigadier) retells an account of the operation to take a ridge called Djebel Roumana at Wadi Akarit, taken (with kind permission) from "Operation Scipio - The 8th Army at the Battle of Wadi Akarit" by B.S. Barnes. Personal memories of Wadi Akarit from PTE SHAW and SGT MACDONALD, taken (with kind permission) from "Operation Scipio - The 8th Army at the Battle of Wadi Akarit" by B.S. Barnes. Read a new extract on the Attack on Le Havre during September 1944, taken (with kind permission) from 'The History of the 7th Argylls' by Ian C Cameron. This short account has been provided by Ms Mary Duffus. It was given to her father in the Battery Office on disbandment at the end of the war. He served with the 51st Highland Division, 301/127 (H) Fld Regt RA, as a fitter seeing service at El Alamein, Sicily, Normandy and right through to Bremerhaven. After the war he rejoined the TA and was commissioned in the REME. "Operation Scipio" by B S Barnes, published by Sentinel Press in 2007, provides personal accounts of the Battle of Wadi Akarit from the perspective of the 4th Indian, 50th Northumbrian and 51st Highland Divisions. The chapter on the 51st Highland Division has over 100 pages with a host of personal accounts by all rank and covering not only the infantry but other divisional troops. It also has the appropriate extracts from battalion war diaries for the battle. It is an outstanding read and provides many fascinating and personal insights. I am delight that the author has very kindly agreed that I can use extract and sections from the book. I will therefore be adding a number of these accounts to the website but I can assure you that it will still be worth buying this excellent book. One of the St.Valery veterans present on Thursday 10th June 2010 when Provost Jimmy Grey of Inverness hosted a reception in the Inverness Town House to honour the veterans was John Matheson (4 SEAFORTH). In the course of talking with him his companion Barbara loaned me his photograph album. In it I discovered an account of his prisoner of war experience told to the Ross-Shire Journal (November 14, 2003). This fascinating account has now been added to our POW EXPERIENCE section of the site, by kind permission of the Ross-Shire Journal along with a number of photographs from the album. Account of Movements of 51(H) Div. and attached Tps. leaving Lille area. This account of the “Movements of 51(H) Div. and Attached Tps. since leaving Lille Area” was provided by Mr Michael Thomson of Perth who provided me with various artefacts from his uncle, Major David K Thomson who was in the Royal Army Service Corps (RASC) in the Divisional Supply Regiment. The account is on foolscap paper and appears to be contemporary. Although unattributed, the only person mentioned by name in the account is Major C.P.R.Johnston and as the account from 10 June relates specifically to ARK force it may be that he was the author and escaped. I would be grateful for any further details. We were sent a very interesting story from George Laloux who was a young boy living in "Embourg Castle" near Liege at the time of the Ardennes Offensive who recalls 152 Infantry Brigade HQ (Seaforth Highlanders) were based at his home during the early part of the Ardennes Offensive. You can read this story and see a list of Officers who stayed at George's home by clicking here. the first was noted as "1942, G-Troop, 242 Battery, 61st Anti-Tank Reg., Before North Africa" - Jim Witty is marked as 2nd row, 3rd from left. the second is 242 Battery in Sicily (G-Troop). the third appears to be the entire 242 Battery in Sicily (although no note is marked on the photo to confirm that). We would like to thank Robert Owens and his family for sharing these detailed and moving memories of their Father's experience as a POW from 1940 in St. Valery to liberation in 1945. Henry Owens' accounts include many photographs, extracts from personal letters of the time and of course, Henry Owens own words which have been compiled by Robert Owens in November 2001. These accounts have been placed into chapters within the POW Experiences section of the site. We hope you find these accounts, alongside those of Corp. Jack Kidd, as interesting as we did. A series of reports and events have marked the 70th Anniversary of the capture of the 51st Highland Division at St.Valéry-en-Caux on 12 June 1940. Several radio reports were followed by coverage by STV of veterans of the surrender preparing to leave for the commemoration at St.Valéry. On Thursday 10th June Provost Jimmy Grey of Inverness hosted a reception in the Inverness Town House to honour the veterans. Present at the reception were Mr John Matheson (5 Seaforth), Mr Peter Black (RASC), Alec Wiseman (4 Camerons), Mr Donald Ross (4 Cameron Mr Alec Mackenzie (4 Seaforth), Mr Alec Murray (5 Seaforth), Mr Neil Wilson (5 Seaforth), Mr David Ross (5 Seaforth). On 12 June at St.Valéry veterans and families were joined at the 51st Highland Division memorial and at the cemetery for a service and wreath laying, by dignitaries from France and Scotland. These included Bruce Crawford MSP, Minister for Parliamentary Business, the Provost of Inverness, Jimmy Gray and the Commander of the 51st Scottish Brigade, Brigadier David Allfrey. After other stands the tour concluded at Veules-les-Roses where, while some escaped, many more perished as they attempted to descend the sheer cliffs or waited in the sea for the ships that did not come. To conclude, the Anniversary of St.Valéry had been properly marked. The students from Aberdeen had enjoyed memorable visit enriched by the opportunity to talk with the veterans about their individual experiences. I intend to put more on the website about the Anniversary visit and veteran experiences in the coming months but I would like conclude by thanking Lieutenant Colonel Mathew Wardner and the staff of Aberdeen Universities Officer Training Corps for all their arrangements, hosting many visitors and keeping the memory of St.Valéry alive. We'd like repeat the details of our new twitter.com/51HD feed and the [email protected] feature which has resulted in many site visitors picking up the Radio Scotland interview on the BBC iPlayer in the week after it was broadcast. Or you can bookmark its RSS Feed to receive automated updates directly to your web browser (provided your web browser has an RSS reader). Brigadier (Ret'd) Charles Grant OBE, the site historian, was interviewed on BBC Radio Scotland's 'Good Morning Scotland' show on the 28th May 2010. The show is available via the BBC's iplayer for the next seven days and Charles is interview at 1:39hr into the show. The first account is from Captain J T Lang who served with 128th (H) Field Battery RA (TA) in El Alamein. Captain Lang's account is entitled El Alamein - A Gunner's View and details the movements and action from 128 Field Reg. from 1st September 1942 through to early November of that year. We also have a short history of the 128th Field Regiment written by John Lang. The account was originally entitled "The story of an artillery Regiment of the 51st Highland Division" and was privately printed in 1989. Another extract relating to the 128th Field Regiment is taken from the Regiment records relating to Battles for Gerbini, Sferro Hills, Catania Plain and Biancavilla. We have added a new extract detailing the 61st (Highland) Anti-Tank Regiment (Royal Artillery) during the Sicily Campaign at Sferro through July 1943. There are also two separate extracts taken from 'The History of the 7th Argylls' by Captain Ian C Cameron. This first reference is a description of the 7th Argylls in the Battle of Wadi Akarit in March/April 1943 during the North Africa Campaign. The second extract details the attack on St. Michels Gestel and Vught during Operation Colin which was part of the Low Countries Campaign in October 1944. Another addition to the site is an extension to the accounts from Jack Kidd in our POW Experience section which was part of the last site update. This new account is of the arduous Thousand Mile March that the POWs were forced to endure in late 1944 as Germany attempted to relentlessly move its prisoners from the advancing Russian forces and the prospect of liberation. Last, but not least, we have added a short note listing the various Commanders of the 51st Highland Division during the post war years between 1946 and 1967. More photographs, artifacts, extracts and accounts, in addition to new content from our website historian, Brigadier (Ret'd) C S Grant OBE, will be added to the site in the coming months so please do check back here to see what is new. Many thanks, once again, for all of your stories and photographs - please do keep them coming. In this latest update on the website we must start with the sad news of the death of one of the 51st Highland Division and Ross Bequest Trustees. The following obituary is taken from 'The Red Hackle' by kind permission of Lieutenant Colonel R Riddell. MAJOR G H PILCHER MC died on the 27th of March 2009 aged 92. He was one of a special band of Territorial Officers who served the Regiment with such distinction and courage during the 2nd World War. Graham was born in Dundee on the 15th of June 1916 and went to Prep school in Fife before going to Clifton College in Bristol. He was a talented sportsman who particularly enjoyed his cricket. Sport was a part of bis life that he was able to enjoy into his old age. He celebrated his 80th birthday by playing tennis with his grand children and his 90th with a round of golf! In 1935, after leaving school, he joined Jute Industries Ltd. He was the fourth generation of his family on his mother's side to work in the industry and his father was director of the company. Graham like so many of his generation joined the Territorial Army and after attending his commissioning course at Sandhurst joined the 4th/5th Battalion The Black Watch, his father's old battalion. At the outbreak of war he was mobilized with the 4th Battalion and went to France. He was wounded and evacuated in June 1940 before the catastrophe at St Valéry and then after recuperating, rejoined the 4th Battalion in Gibraltar. On 14th June 1944 he joined the 5th Battalion just after the Battle of Breville, arriving at a time when experienced officers were at a pre­mium. He took command of C Company and was soon involved in the abortive Divisional attack on Collombelles. Hard fighting followed and by the end of October the battalion were close to Hertogenbosch. It was near here that his courageous action led to the award of a Military Cross. During an advance, he and his Company came under heavy mor­tar and machine gun fire and found themselves pinned down, with snip­ers trying to pick them off. Realizing that quick action was essential, he ran across open ground despite the intense fire and led an assault on the German positions 200 yards away. Two machine gun posts were wiped out. His citation noted that "his conduct and courage were an outstanding example to all rank under his command". He was awarded his MC by Field Marshal Montgomery on 15 December 1944. In February and March more fierce fighting took place during the Reichswald offensive and the battle of Goch but on 16 April 1945 he was badly wounded by shellfire near Dotlingen. His injuries were so severe that he did not return to the war. Graham married Rosamunde in 1946 and returned to the textile business, managing the Camperdown, Bow Bridge, Maxwelltown, Coldrum and Manhattan factories. He gave up production duties in 1954 to concentrate on cloth sales. Jute Industries was renamed Sidlaw Industries in the early 1970s and he was latterly Chairman of the hardware division before retir­ing in 1979. He also served as Chairman of the British Jute Trade Federal Council. 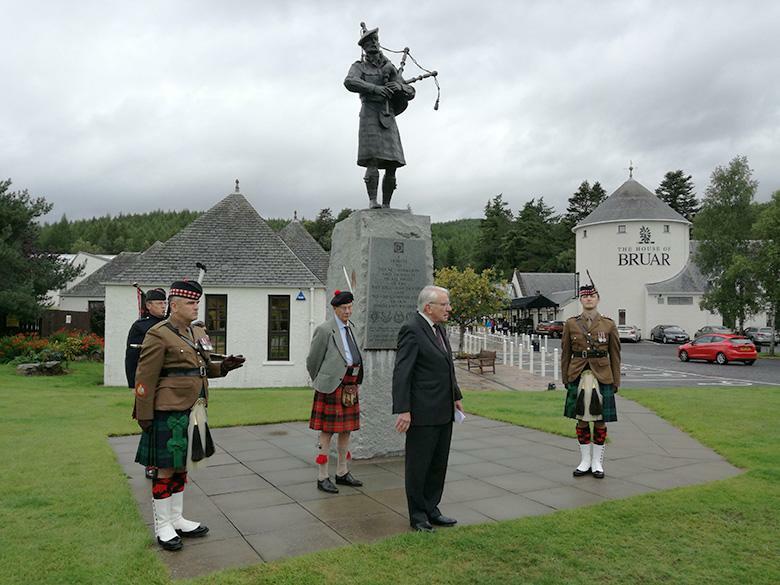 Graham was very involved with the 51st Highland Division Veterans Association and as Chairman in October 2006 he unveiled a bronze statue of a piper at Bruar in Perthshire to commemorate the actions and sacrifice of that famous formation. He was also a devout and committed Christian and was greatly involved in the Diocese of Brechin as well as in his local church. A fine soldier, Graham was an enthusiastic supporter of the web site and provided encouragement and praise for it in equal measure. A true gentleman, his support and enthusiastic presence will be much missed. The Trustees have agreed to advance the work, originally planned for next year, on "The Prisoner of War Experience" and the subject is introduced under that heading. I will be very pleased to receive (through Thornton's Solicitors or via our new email address - [email protected]) any first hand accounts and photographs to support this section. The section on Piping and Drumming has also been started. Over the coming year it is hoped to add considerably to this section. I am indented to Pipe Major Alistair Duthie whose considerable knowledge of piping history is proving invaluable. There are also additional items including An Account of the Rhine Crossing from the perspective of a Buffalo driver and a new section under units on the formation of 51st (H) Reconnaissance Regiment. The Highland Division Tapestry has also been added to the Memorials. I would also like to draw attention to a new book '"Escape from Saint Valéry-en-Caux", The adventures of Captain B C Bradford' details of which will be found in the Credits Section. The website has just been updated to include some new material. I would like to thank all those who have commented so favourably on the site and where there are areas as yet uncovered I hope to be able to address them in the future. You will find that work has just started on the Memorials section. 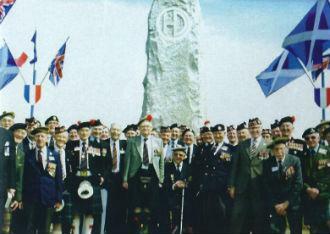 There is a front page listing some of the 51st Highland Division Memorials. Over time each of these will have a link to its own section with a description and photograph. I have begun with Highland Division Window St Valéry en Caux and Sferro. I have started to address the Supporting Arms and Services and you will find in the "online" museum a page on the Royal Artillery listing those units that were with the Division. I have been given a short (one page) history of 242 (Oban) Anti-Tank Battery, part of 61st Anti-Tank Regiment, Royal Artillery which I have included. If anyone possess similar short histories of attached Arms or Services I would be very grateful for them. You will also find a piece in the "online" museum on "Piobaireachd" which was the name given to the 51st Highland Division newsletter. I am indebted to Tommy Smith, the Archivist at the Black Watch Museum, for bringing this material to my attention. I would like to thank those who have contacted me through Thorntons with offers of material for the website. Contributions, both financial to support its continued growth and of material are most welcome and should be made to me through Thorntons. UPDATE - 51st Highland Division Website. With this update the concluding section Victory in Europe, bringing the Divisional history up to the end of World War Two, has been added. There is also some additional material on the Rhine Crossing. Going back to the start of the War, new sections on The 51st Highland Division & the BEF and St.Valéry June 1940 have also been added. Work is now in hand to provide a section on Preparation and Mobilisation - 1939. Once this is completed it is intended to provide details of the Divisional supporting arms and services as well as more supporting material on the earlier sections. On 8th June this year a reunion of wartime veterans and members of the 51st Highland Division took place in Perth to mark the dedication of a new 51st Highland Division Tapestry which will be hung in St.John's Kirk, Perth. It is intended to include details and a picture of the tapestry on the website and work will start shortly on the Memorials section. I am very grateful to those who have made contact as a result of seeing the site and provide financial contributions or material ? both are very welcome. I would like to repeat that if, having explored the site, you would like to help us achieve our aim, which is to provide a complete and authoritative history of the 51st Highland Division as a memorial and source of reference then your contribution would be very welcome. Since the site was launched in October 2007 a considerable amount of progress has been made and we would like to update you on this and to ask for your support. Firstly, you will notice that we have added two more campaigns, the Ardennes and the Reichswald. To support this a number of new photographs and maps, along with supporting documents have been added. Work is now in hand on the next section which is on the Rhine Crossing and it is hoped to put this onto the website, at least in outline, by Easter. The Trustees met in January to consider a Three Year Plan prepared by the Web Site Historian and Web Site Designers and have approved the plan in outline and authorised Year One which will complete the World War Two element, create the "Memorials" Section, develop "Online Museum" to include additional photographs, a piping section, audio/visual extracts and expand the Regimental/Battalion Histories including other units. (RA, RAC, RE, RSigs etc.) In addition there will be some preliminary investigation on the "Battlefield Tours" and "Education" sections. This is all exciting stuff but funding remains an issue. The Trustees have therefore decided to launch a campaign to raise the money to fund the whole three year plan - some £75,000 in all. If, having explored the site, you would like to help us achieve our aim, which is to provide a complete and authoritative history of the 51st Highland Division as a memorial and source of reference then your contribution would be very welcome. Welcome to the 51st Highland Division Website. This website has been sponsored and funded by the Highland Division and Ross Bequest Trusts. The Trustees have recognised that, in addition to the splendid sculptures and memorials that exist to commemorate the exploits of the Division, there is pressing requirement to make the Division?s history more accessible and, in so doing, to create a living and educational memorial. The aim of this website is to capture, present and preserve the glorious history of the Division in a dynamic and enduring memorial. In so doing it has set out to provide a layered history of the Division. At the first level there is, on one page, a brief overview of the Division. Simply clicking on the "History" section on the top left of the overview will take you into a list of campaigns and theatres of action, which appear down the left-hand side. Once again, by clicking on "North Africa", for example, it will take you to an overview of that campaign with a menu allowing you to read in more detail each action. Clicking on the crossed swords icon by the name of the action will take you to the description. Within each action there are further areas marked in red, which provide more detail with examples of personal accounts, operation orders, unit diaries and reports. If at any stage you wish to return to the main menu on the front page, click on the HD badge. The website has been illustrated throughout with photographs and, by clicking on a particular picture, will take you to the "On Line Museum" which will give full details of the picture, copyright and where appropriate, the negative number. The "On Line Museum" will grow over time and it is our intention to include audio/visual extracts and pipe music. Other sections will be developed in due course covering "Monuments", "Battlefield Tours" and, very importantly, "Education". This is an exciting project and, we believe, one which will be of lasting value as more history and information is recovered and added. The Trustees are extremely grateful to the many Museums, Regiments, other institutions, and the large number of private individuals who have so generously provided a wealth of information, photographs and documents. We have included details of our benefactors on the credits page and invite you to view that. We must also pay tribute to the website designers Those Media Guys Ltd whose design and technical advice have been invaluable, and to our historian, Brigadier (Ret'd) C S Grant OBE without whose wealth of knowledge, passion for the subject, and immense hard work we would not be able to bring this to you.